Pelican Bay Two Years Later: Those Still Buried Alive Vowing Hunger Strike "Till the End"
July 1st marks the two-year anniversary of the start of the 2011 Pelican Bay hunger strikes protesting indefinite solitary confinement and SHU conditions. The hunger strikes, each lasting three weeks, ended after CDCR agreed to negotiations with hunger strike representatives over their demands. In late 2012, the CDCR implemented a pilot program to release those held in the SHU on gang charges. Prisoners and their advocates have denounced the program for keeping the most objectionable aspects of the old program and expanding qualifications for SHU placement. Prisoners are calling for a hunger strike to begin on July 8, 2013, vowing not to eat until their demands are met. The hunger strike spread to 13 other state prisons and, at one point, involved at least 6,600 people in men’s and women’s prisons throughout California. In September, prisoners renewed the strike, which lasted three weeks until the CDCR (California Department of Corrections and Rehabilitation) offered to begin negotiations around these demands. 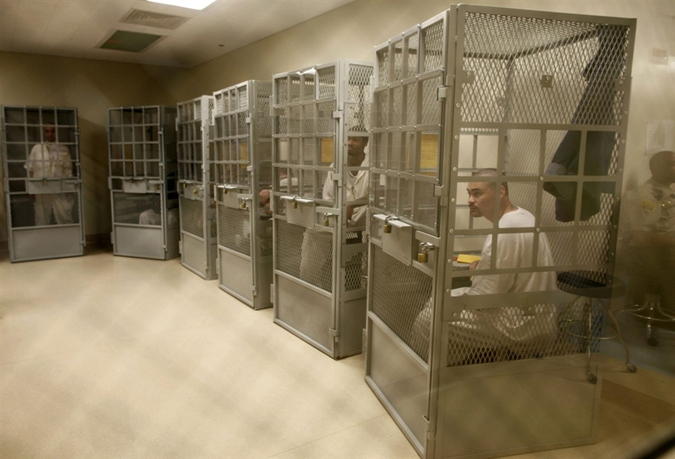 The hunger strike was called off and prisoners began monthly meetings with CDCR representatives. By July 2012, however, little had changed. “Our five core demands have not been implemented,” reported hunger striker Mutope DuGuma. As reported in Truthout, the Center for Constitutional Rights filed a federal lawsuit on behalf of those who have spent between ten and 28 years in Pelican Bay’s SHU. On May 2, 2013, they filed a motion for class certification, which would allow them to represent over 1,000 people serving indeterminate sentences for gang charges. A hearing on that motion has been scheduled for August 8, 2013. In Fall 2012, the CDCR unveiled its “Step Down” program. Under the program, even those who have spent years in the SHU may still be required to spend two to three additional years in solitary confinement. The debriefing program remains in place. In the past, possessing certain art or literature, exercising with others or even saying hello to another prisoner was used to prove gang association. Under the new program, these actions can be used to prove gang membership, which warrants indefinite SHU placement. The CDCR has started its review process of those accused of gang association, which, under the old policies, warranted a six-year SHU term. Those accused of gang association make up approximately 80% of SHU placements; many have been kept in SHU past the original six-year term. Dolores Canales’ son is one of the men in SHU for alleged gang association. “He’s a jailhouse lawyer,” she told Truthout. “He’s assisted with legal work for men charged with being in gangs.” Canales’ son, who has spent 13 years in the SHU, has yet to be reviewed. “He’s still in solitary confinement, still labeled an associate,” she said. Azadeh Zohrabi is part of the mediation team of outside advocates that meets with CDCR. She told Truthout that, according to the figures the CDCR gave them on May 29, 249 SHU reviews have been completed. Of these, 130 have been approved for release to general population with 87 having actually been transferred, 83 have been approved for placement in the Step Down program, and 15 have been retained in the SHU. In addition, 16 have been retained in SHU until they complete Phase One of debriefing. “They have to convince the gang investigators that they’ve revealed everything they know about the gang, its structure, members, affiliates, code of conduct, protocols, codes, past activities, current/planned activities,” Zohrabi explained. “Basically if they don’t implicate anyone else, the gang investigators would say they haven’t fully debriefed.” She also notes that the CDCR’s numbers do not distinguish between people serving definite and indefinite SHU sentences. Todd Ashker, who has filed several lawsuits against the CDCR including the 2012 Ashker v. Brown, stated that he knows several men who have been released to general population. None have filed civil suits against the CDCR and, within the prison system, have rarely filed grievances. [4/24/13] While Zohrabi was unable to corroborate Ashker’s assertion, she did note contradictions between CDCR’s claim of reviewing associates who had been in SHU longest and their actual practice. “People who have been in SHU for five years have been reviewed/released to general population while those in SHU for twenty have not.” CDCR officials told the mediation team that, if provided with names of those serving lengthy SHU sentences, they would look into these cases. They would not, however, inform the mediation team of the outcome(s). According to the CDCR, no women are in SHU indeterminately for gang membership or association. However, the conversion of Valley State Prison to a men’s prison and transfer of women to the California Institution for Women (CIW) has caused a dramatic increase in the number of women in CIW’s SHU. Originally built to hold 60 people, CIW’s SHU went from 64 women in September 2012 to 112 in April 2013 with two women in each SHU cell. One family member reported that “Belinda,” who went on a solidarity hunger strike in 2011, has completed her 15-month SHU sentence for possessing tweezers but, because of overcrowding, will remain in SHU until her 2014 release date. “Belinda” now suffers from agoraphobia and cannot leave her cell during her allotted one hour in the yard. On June 19, 2013, SHU prisoner representatives and outside supporters met with CDCR officials for a court-ordered mediation session. The meeting, said prisoner representatives via a press release, “did not result in CDCR officials agreeing to settle the case on acceptable terms.” They confirmed that they will begin refusing food on July 8th. In addition to the 2011 core demands, Pelican Bay prisoners have issued 40 more demands, such as expunging all violations issued for participation in the 2011 hunger strikes and prohibiting retaliation for those participating in the upcoming hunger strike. Other demands focus on improving prison conditions in both the SHU (such as not being penalized for giving away artwork) and general population (such as the ability to have family overnight visits and a yearly restocking of the prison library). “At the end of the day, there will be prisoners held in SHU whether we like it or not, but not for long term,” wrote DuGuma. “Those individuals who have to serve a determinate sentence in SHU shouldn’t be under torture. They should be allowed contact with other humans, especially their families on visits, educational programs, etc.” Currently all visits, both family and legal, take place behind glass barriers. No phone calls are allowed except during a family emergency. J. Baridi Williamson calls these “family death calls.” During his 20 years in SHU, Williamson has only been allowed two phone calls – once after his father’s death and another after his mother’s death. “These are collect calls for our families with them having to pay the cost,” he added. According to advocacy group (and co-counsel on the federal lawsuit) Legal Services for Prisoners with Children, a 15-minute collect call can cost as much as $2.95 per minute. One of the hunger strikers’ additional demands is that SHU prisoners be allowed one phone call each week. Momentum for the upcoming strike is growing: Prisoners in San Quentin’s Death Row publicly vowed to join the hunger strike, demanding changes to their own conditions.Prisoners in Washington State, including some in juvenile facilities, have vowed to join the work stoppage on July 8 as well. Family members on the outside have continued organizing. Canales, family members and advocacy organizations are planning a caravan to and solidarity rally outside Corcoran State Prison, which holds 1,367 people its its SHU, on July 13, 2013.